Agrotechnomarket.com - Moving one step further in aquaculture innovation, three of the biggest seafood-processing companies — Espersen, Icelandic Seachill and Nomad Foods — have launched these innovative concepts to the sea developing and reimagining fishing thus the so called Internet of the Sea. The project was exposed recently in a workshop organized by FAI Farms. Industry actors and fishermen, scientists and technology developers build transformational design concepts to ensure a sustainable future for our fisheries, oceans and fishermens livelihoods. To ensure a sustainable future for fisheries, oceans and fishermens livelihoods we must think beyond trawling technology and industrial deep sea fishing method where a large. 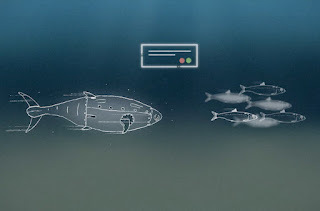 We need clever, selective harvesting techniques that target sustainable stocks, avoid by-catch and minimize often-negative impact on the seabed. Recent developments in underwater image recognition technology, seaborne drones and light and laser technology are deployed to identify and select target species based on size and shape specifications. Combine these technologies with better imagery of the typography of the seabed and data on the health of the target fishery will enhance selective harvesting efforts while lowering seabed and ecosystem impact. Harvest high quality and affordable seafood from sustainable fish stocks, today and in the future. Reduce or eliminate the negative environmental impact of trawler fishing, including GHG emissions and on damage to the seafloor and to our oceans. Only catch the fish we want by improving our ability to target and select particular species and avoid by-catch. Generate real and tangible benefits to the fishermen. The core of this project is based in its capacity to track and analyze relevant data in order to detect for instance locations, species and movements of fish in advance so that, costs, time, fuel and GHG emissions are significantly reduced, lowering the impact on the entire ecosystem. The project is exploring the viability of deploying huge numbers of solar and wind powered autonomous underwater vehicles (AUVs) equipped with echo sounders and sensors with the ability to send real-time ocean and fishery data back to a central depository accessible to an entire fishing fleet. Other options include equipping existing vessels, commercial ships, etc. with autonomy packages and sensors to help do the job. 0 Response to "Building The Internet of The Sea To Ensure a Sustainable Future for Fisheries"